There’s a big peanut butter fan in our house. So anything satay tends to be an instant winner. This isn’t the best looking dish, but please don’t let that put you off! 1. Heat a generous glug of oil in a large frying pan or skillet. Stir fry the tofu for 2-3 minutes or until starting to brown. 2. Add peas and continue to cook for another few minutes. 3. Add curry paste, peanut butter and soy and stir until combined. Taste and add extra of the 3 flavourings as you think it needs it. Great! Will keep in the fridge for 1-2 weeks. carnivore – replace tofu with pork sausage meat or minced (ground) chicken or even beef. soy-free – use fish sauce or salt instead of the soy sauce. And see the carnivore section for tofu replacement ideas. no Thai curry paste? – replace with 2-3 teaspoon of good quality curry powder instead. different veg – replace peas with spinach. tofu sticking to the pan – use more oil and stir a bit more energetically. bland – add more soy and curry paste. Or just season with a little salt. 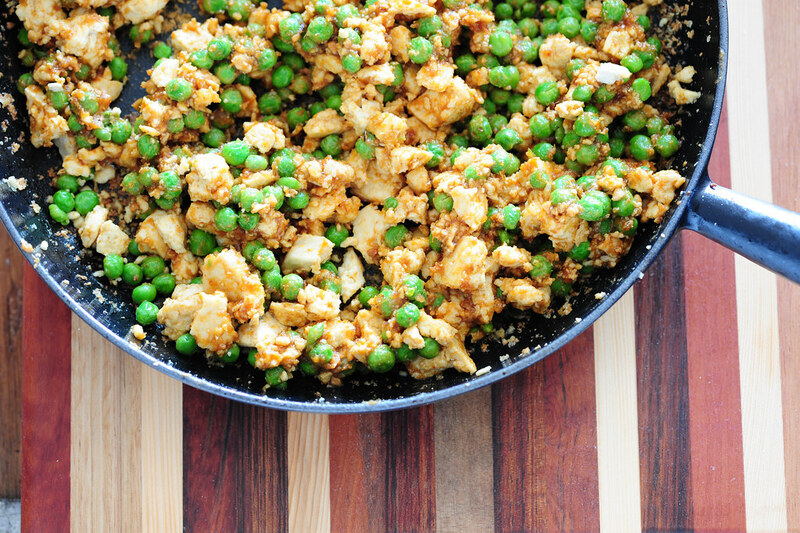 dry – this is meant to be a dryish, stir-fry style dish but the peanut butter can make it feel dryer than it really is. Next time back off on the peanut butter. 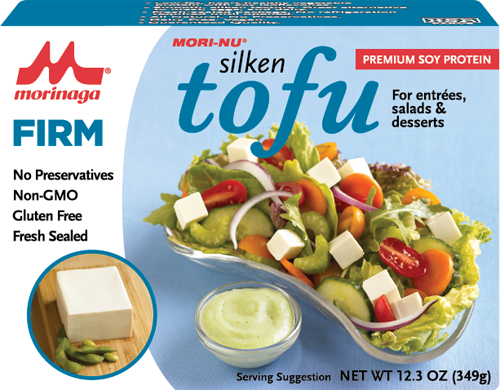 too watery – make sure you’re using FIRM tofu.. Silken tofu won’t work here. FOr now try cooking down to remove the extra moisture. We had our first ever soupstones recipe disaster with this one! The tofu was all watery and fell apart, then stuck to the pan. I think my partner went overboard with the amount of peanut butter and curry paste too, so it was a very spicy strong tasting mush. I added yoghurt and soldiered though about 2/3 of a bowl (I don’t like to admit defeat…) and my partner grabbed a ready meal from the freezer. It definitely didn’t look like your picture! On the up side I’ve discovered the many different types of tofu & that silken tofu wasn’t the right stuff to use! It was all I could find in the supermarket but I might have been looking in the wrong section. Yes there are 2 different types of tofu… Silken tofu has a higher moisture content so I’m not surprised it turned out not so well. Firm tofu should be in the same section of the supermarket… so yours might not stock it. You might need to go to a health food store or asian grocery. To be honest I never use silken tofu.. unless I’m making miso soup. Confusingly it’s ‘firm silken tofu’. Really not very firm at all though! I got 2 blocks of it so I might try making miso soup. Tonight was just another night you saved dinner for us all. wanted to share my extra benefit as a student of 1yr. My kids 3&2 both ask to see Jules on the computer. Whenever they can’t sleep and we’re all cranky a Jules video brings us all back to centre. we all love your warm aunt jules way and often the kids talk at the video like Skype (cute or sad? maybe both). Thanks for all the guidance.